William Seitz, III is a litigation lawyer in Dinsmore's Cincinnati office. As both a respected state senator and an accomplished litigator, Bill brings unique experience and perspective to clients. He has more than 30 years of experience handling a wide range of matters, ranging from antitrust proceedings to franchise and distribution law. As a long-time leader in supporting criminal and civil justice reform, he is able to draw upon his knowledge to help clients navigate through complex regulations and resolve disputes efficiently. He has practiced antitrust law for nearly 40 years and was recognized in 2014 by Best Lawyers© as Southwest Ohio's Antitrust "Lawyer of the Year." 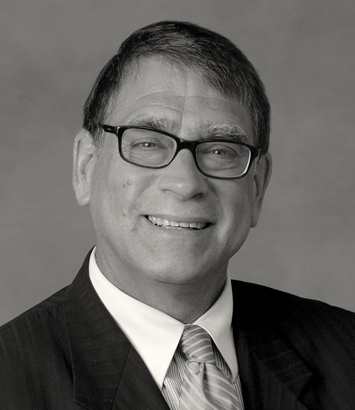 Bill served on the Board of Governors of the Antitrust Section of the Ohio State Bar Association and has litigated antitrust cases in Ohio, Pennsylvania, Tennessee, and Florida. While serving in the State General Assembly, he successfully amended Ohio's antitrust statutes and has represented numerous nationally and internationally known corporations in counseling or litigating antitrust matters. Bill’s leadership abilities and knowledge of the justice system have also enabled him to become a valued leader in the State of Ohio. He served in the Ohio House of Representatives for seven years, where he became majority whip, before joining the Ohio Senate in 2007. As a senator, Bill was the chairman of the Senate Public Utilities Committee. He is vice chairman of the Government Oversight and Reform Committee, and he has helped lead efforts to reform sentencing laws, reduce prison overcrowding, eliminate barriers to employment for non-violent offenders and enhance penalties for violent offenders. He also was an integral figure in helping usher in Ohio’s sweeping tort reform, which helped transform the state’s business landscape. His work led to him receiving the prestigious U.S. Chamber Institute for Legal Reform State Legislative Achievement Award in 2013. Bill also serves on the Criminal Justice, Energy and Natural Resources, State and Local Government and Civil Justice committees, as well as the Finance Subcommittee on Corrections.